Welcome to the Eco Council page! The Eco Council was elected in September. A secret ballot was held in the school hall and a girl and boy have been elected from each school year. In addition, there are members of staff; parents and governors on the Eco Council. The Eco Council have completed an Environmental Review and an Action Plan has been formulated and the Eco Code has been reviewed. What is the Eco Code? Everyone at Aberporth School is committed to the Eco Code. The Eco Code is displayed in every classroom and in public places around the school. The code reminds us how we should look after the environment. The Eco Council meets at least once every half-term, but meetings are often more frequent when there is something specific to arrange or plan. The ‘Rubbish Squad’ and ‘Energy Squad’ go around the school on a weekly basis. 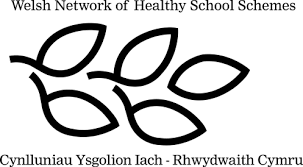 Aberporth School is one of a small number of schools in Wales who have received the Platinum Award for the second time. Fantastic!